-- and this fact can cause enormous emotional strain and pain within the family. However, a well developed communication process can make every member of the family tree strong enough to withstand the pain such strain can involve so that they can make thoroughly explored, smart decisions about their future. 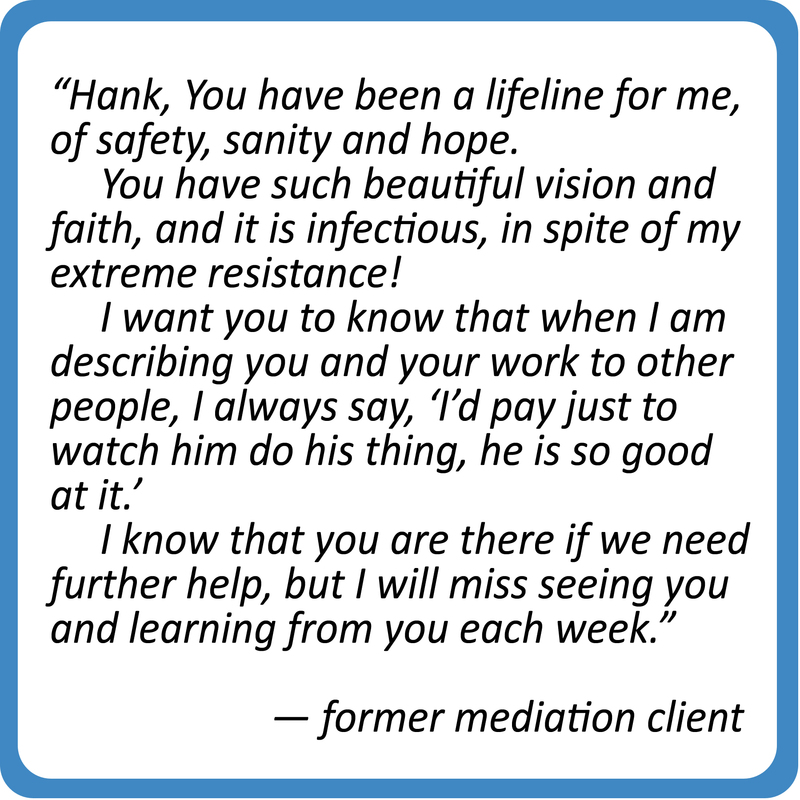 In this way, each participant is helped to move ahead toward health, happiness and a world of new possibilities. 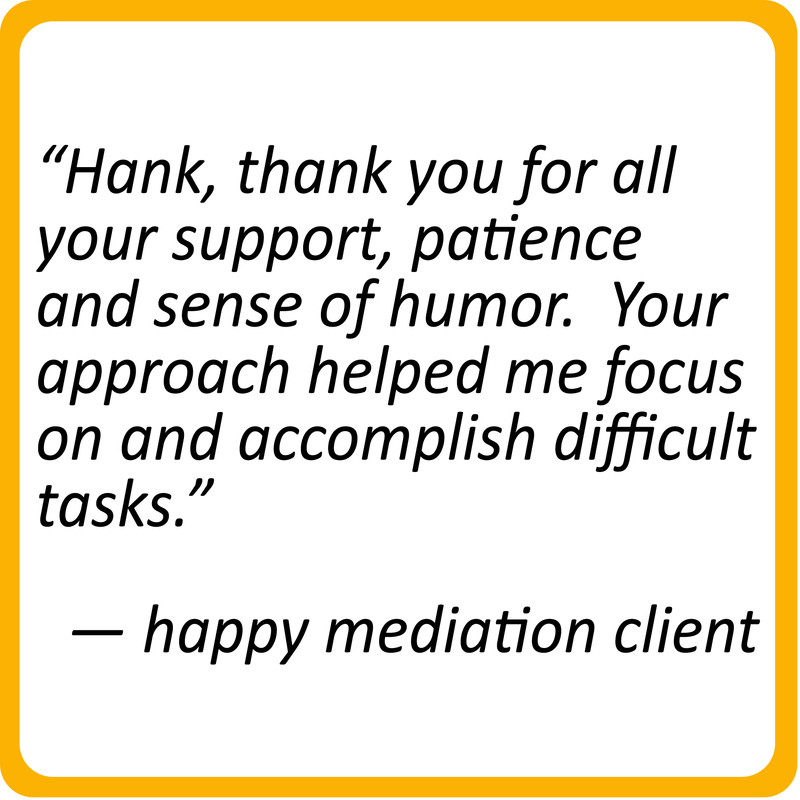 Whatever you are feeling, whatever you are going through within your family tree, help is here...in mediation. 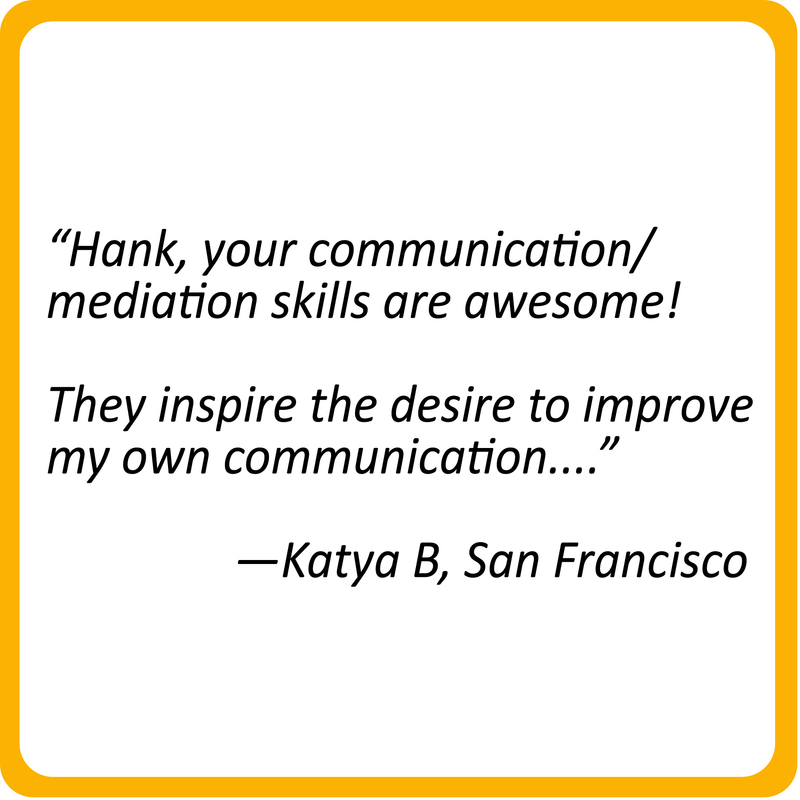 In exploring what mediation offers, you are opening the door to new patterns of communication that are more empowering to you and to everyone in your family tree. All these familial relationships that will remain in some form or another a part of your story, your path, no matter what happens next will benefit when the family practices more effective communication. Obviously making yourself stronger, healthier and happier is a good thing. 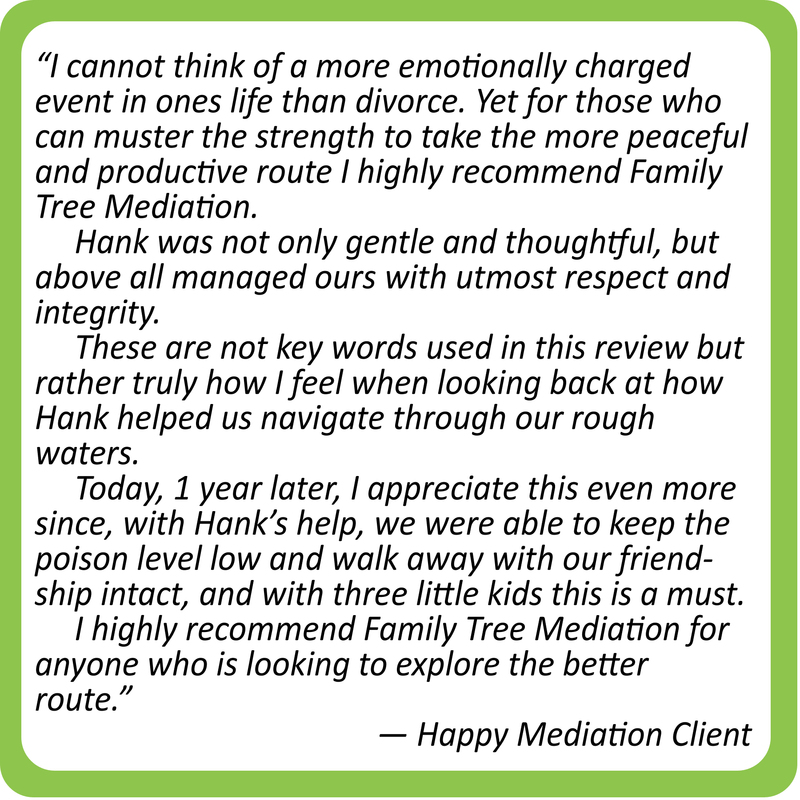 But when embroiled in emotional conflict with members of your own family tree, it might not always be so obvious that it is in your own best interest to make stronger, healthier and happier the very people with whom you are in conflict. 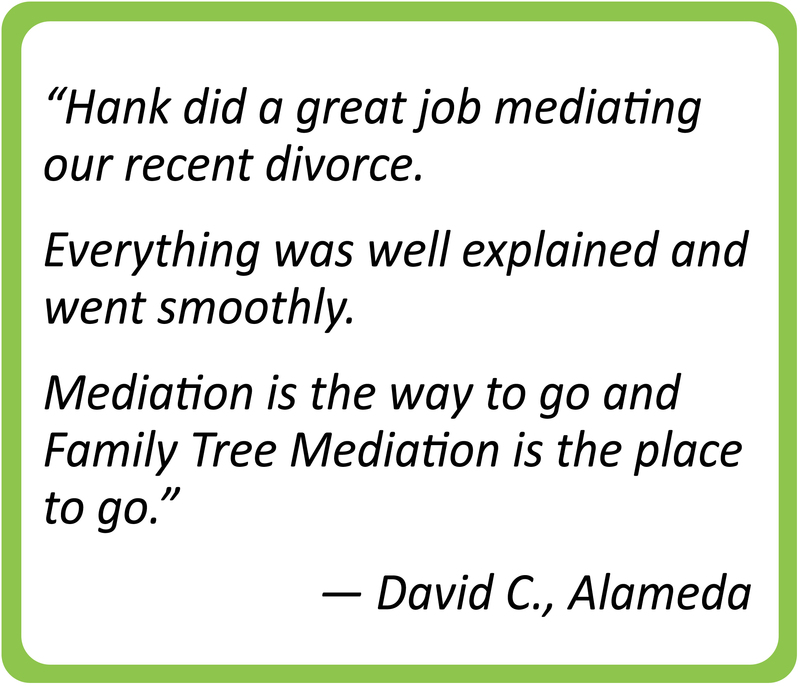 As challenging as this idea might be, Family Tree Mediation strongly believes it to be true--so long as the means to this end involves improved patterns of communication. 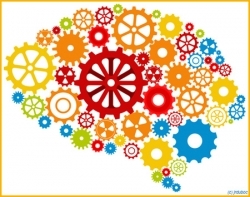 Improving the skill with which any person communicates helps everyone else in that person's family to avoid the trap of becoming so preoccupied by reactive and inadequately informed judgments that they have no time to understand their own most important priorities and contributions, much less those of the people with whom they are in conflict. 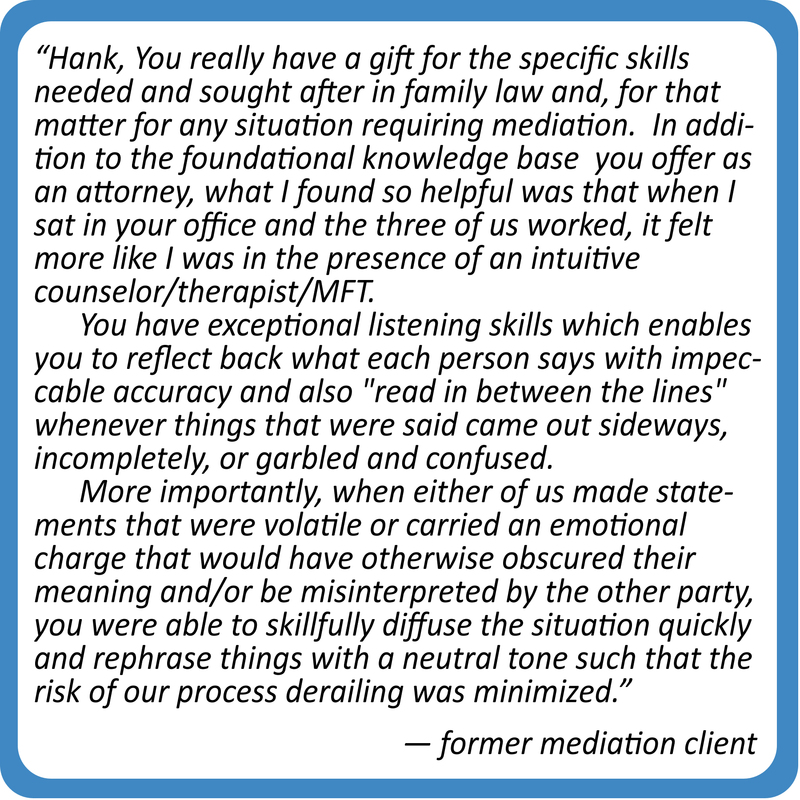 Through mediation you can craft agreements that meet each other's deeper interests and needs, those that sometimes take time to uncover, own and assert. 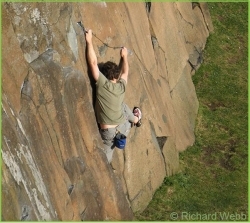 When we work to create an agreement in this way, the available options that can be agreed upon are usually more numerous so there is often more opportunity to find ways to be fair, to make more out of limited resources, and find ways out of, what seems on the surface to be, an irresolvable conflict. Also an agreement that respects each person's deeper interests and needs will generally be stronger, more durable and more beneficial for all concerned.